I decided to visit Nauru Island because I want know more about all the cultures in this island. Nauru is the best island to visit. 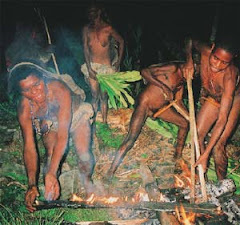 However I’m going to the island while doing research for the tribes who live there, I will also do other activities. In Nauru Island there are three tribes. 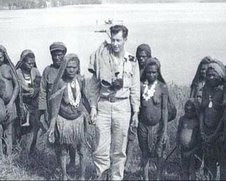 They were Polynesians, Melanesians, and Micronesians. It is interesting to do research. I want to know everything about which languages they use more Polynesian, Melanesian or Micronesian because three of cultures are different but they live in same island. Also I’m going to study Nauru Language (Kind of National Language). And also I’m going to see traditional music, I’m going to see how to cook traditional food, I’m going to visit a language museum near town. I’m going to do other activities like surfing, jet skiing, windsurfing, water skiing, wake boarding, and body boarding. And also I’m going to relax while reading some books and lying down on the sand if I get free times. There are lots of activities to do when I come to the island. I’m going to the island in September is a best one to go there because the weather is summer, dry, wind and little bit rain. Temperatures has max 85 F* to 31*C. and minimum 74F* to 25C*. An average wind speed has 8 to 12 km/h. It can better to do my research when I come in September next year. I’m going to the island by plane. I’m going to Bergstadens Hotel near the city center and I’m staying there for 26 days. I chose this hotel because the temperature is comfortable and good services and also complete facilities inside and outside. The each room’s amenities of Bergstadens Hotel are very good. I’m going to the island from Jayapura to Nauru can be difficult because they don’t have flight to there, so I’m going to fly by Garuda Airline from Jayapura and transit in Bali. I’m going to stay in Bali for 5 hours. I’m going to Sydney by Cansas Airline for 6 hours. I’m going to stay in Sydney International Airport for 2 hours. I’m going to buy something like cake to eat and also some newspaper to read. After Nauru Airline arrives, I’m going to fly for 2 hours and transit in Salomon International Airport and continue flying to Nauru International Airport (Yarem Airport) for 2 hours. Finally, I’m going to the island. It is interesting experience because I never been there before. So when I get a holiday in September next year I’ll try to go there.